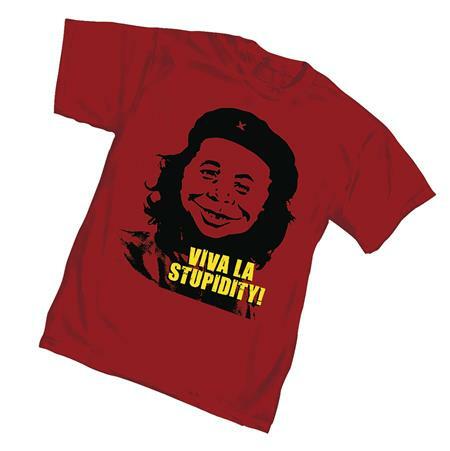 Alfred E. Neuman shares his thoughts on the new Mad: Viva La Studity T-Shirt. Features Alfred imprinted on a revolutionary red, 100% cotton shirt. The movement has begun!! NOW AVAILABLE for sale in Canada and U.K.